In the light of Storm Angus, commuters using the line from Exeter to Newton Abbot via Dawlish could be flinching at the thought of the iconic stretch of track near Dawlish falling away again. The Government though, has confirmed that a further £10 million will be made available to reinforce the line. The line, which links Plymouth and Cornwall to Exeter and the rest of the country, suffered extensive damage in 2014, when extreme weather left the rail hanging from the cliff. 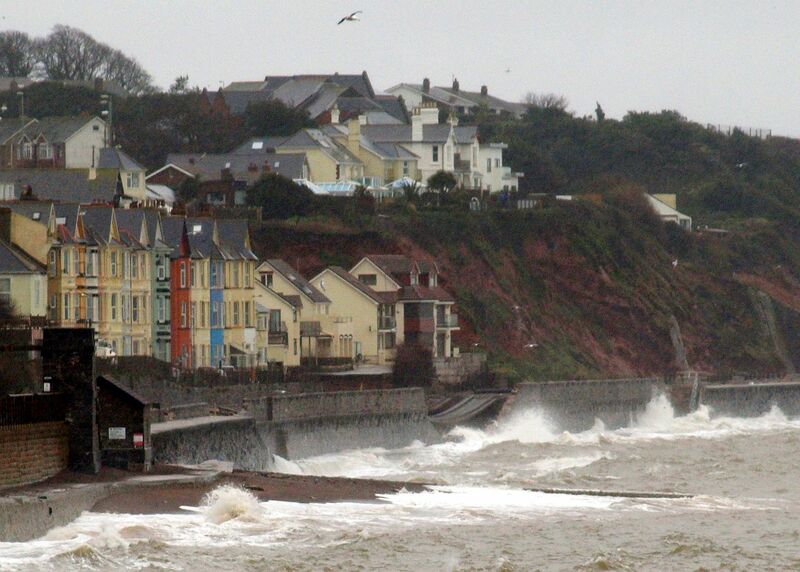 High winds and extreme waves and rain caused about 80 metres of sea wall to wash away, while the road and Dawlish Station close by were also significantly damaged. Closure of the line cost the South West an estimated £1 billion pounds, as the sea wall was washed away and further landslides were reported at Teignmouth. Network rail has recently published a report, outlining their proposed plans for strengthening the route. Transport secretary Chris Grayling understands the importance of a safe and resilient line in this area. This train line is key for Devon and the South West, and Network Rail’s three areas of priority to address include reducing the risk of landslip/slides between Teignmouth and Parson’s Tunnel, where the cliffs are particularly stiff. Also preventing any rock falls by Parson’s Tunnel and flooding of the railway from the sea between Dawlish Station and Kennaway Tunnel. Network Rail has spent £3 million on the project already, before the government invested a further £5 million earlier in the year. The extra funds will be spent to further the research into protecting this stretch of railway, which is due to end in 2017.